The primary goal of the CLOUD experiment is to understand the influence of galactic cosmic rays (GCRs) on aerosols and clouds, and their implications for climate. Atmospheric aerosols and their effect on clouds are poorly understood and yet important for climate. Indeed, they are recognised by the Intergovernmental Panel on Climate Change (IPCC 2013) as the largest source of uncertainty in present radiative forcing and in climate projections over the 21st century. Although its design is optimised to address the cosmic ray question, CLOUD is the first experiment to reach the demanding technological performance and ultralow contaminant levels necessary to be able to measure aerosol nucleation and growth under controlled conditions in the laboratory. 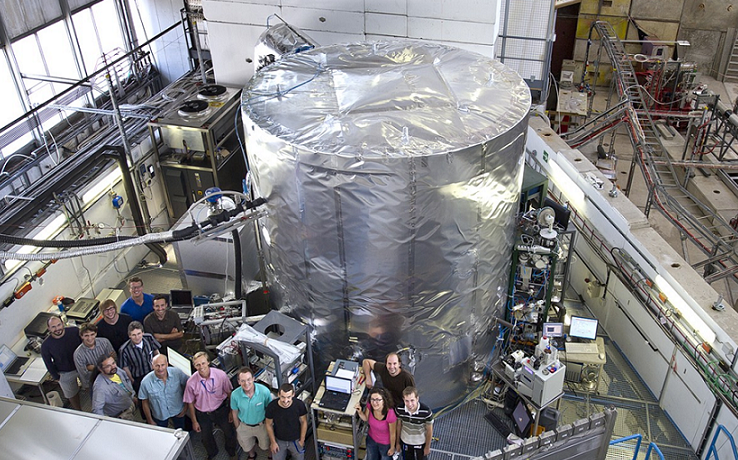 Consequently CLOUD has become the world’s leading laboratory experiment to address not only the influence of cosmic rays on aerosol-cloud processes but also more general and equally poorly understood aspects.